Cy Twombly's eminent oeuvre underwent several transformations over the decades. Probably the most incisive of these was his encounter with Mediterranean culture, which led to Twombly's retreat from the New York art scene: from 1957 on, he lived in Rome and shuttled between Italy and the US. The world of Greek gods, bright Mediterranean light, and the history, literature, and mythology of the Occident found their way into his art. On ever larger canvases, the drama of mankind was transformed into a sensual and poetic vision of color, drawing, and scription. 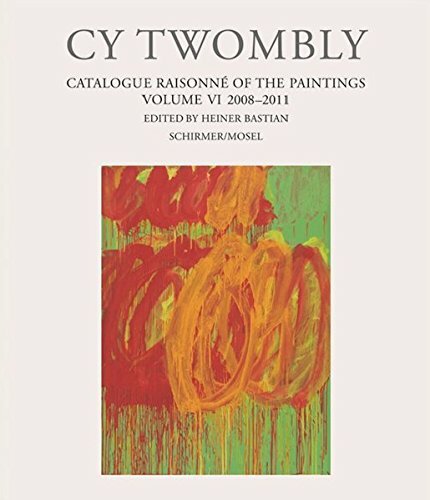 Editor Heiner Bastian has now added a final volume to our Catalogue Raisonne of the Paintings, covering the years from 2008 until Twombly's death in Rome in 2011. It includes, inter alia, the series of monumental flower paintings that occupied the artist during the last years of his life.